11: Revelation Zero: Part 1 - Mark is suspended from the FBI, & Demetri must partner with Agent Vogel. Mark continues his investigation into Lloyd's kidnapping while seeing a psychiatrist. Janis investigates Simon, who is trying to steal files from Lloyd's computer. 12: Revelation Zero: Part 2 - Mark is suspended from the FBI, & Demetri must partner with Agent Vogel. Mark continues his investigation into Lloyd's kidnapping while seeing a psychiatrist. Janis investigates Simon, who is trying to steal files from Lloyd's computer. 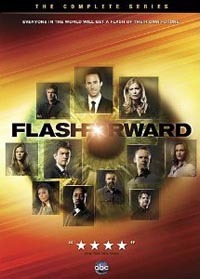 13: Blowback - Mark continues to grill Lloyd about their phone conversation in each other's flashforward. Zoey is determined to alter Demetri's fate. Aaron investigates the link between Jericho and his daughter.